Houston Press has a long, sad look at one of the more curious NewSpace projects, Excalibur Almaz, and the man behind it, Art Dula. Excalbur Almaz is a company based in the Isle of Man whose goal is to refurbish a couple of Soviet-era Almaz space stations and four crew return capsule for some type of space mission. The company has gone through numerous iterations, from space tourism to commercial space station to NASA commercial crew to deep space mining facility. So far they haven’t raised enough money for any of these ideas, although the company has generated a couple of investor lawsuits alleging fraud, one dismissed and the other still pending. There are a couple very troubling allegations that are chronicled in the story. One is that the sales agreement between Excalbur Almaz and the Russian seller stipulated that the technology was not to be modified for space flight. This is alleged in a lawsuit filed by Japanese investor Takafumi Horie. While “there aren’t any facilities on the Isle of Man for working on this equipment,” the company had gone there because “we got a very nice deal on rent from the Isle of Man government”. But the lease ran out, which is why the equipment has been moved from the hangar at Jurby Airfield, he explained. There are no launch facilities on the Isle of Man either, which means that the company had never intended to launch missions from there anyway, Mr Dula said. This week its Soviet era space station and capsule were transported by JCK from storage at Balthane to the Sea Terminal, from where they are being shipped to Southampton and then onwards to Jeddah in Saudi Arabia…. 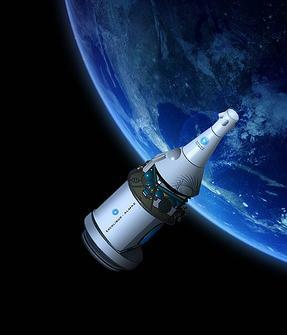 The company said it was now working with the International Space University in Strasbourg to transform a space capsule into a reusable orbital laboratory used to research microgravity. In a lawsuit, Japanese investor Takafumi Horie accused Excalibur Almaz founders Art Dula and J Buckner Hightower of misleading him in order to obtain a $49 million investment in the company. Horie says the Soviet-era Almaz space station hardware the company purchased were museum pieces that could never be launched into space. 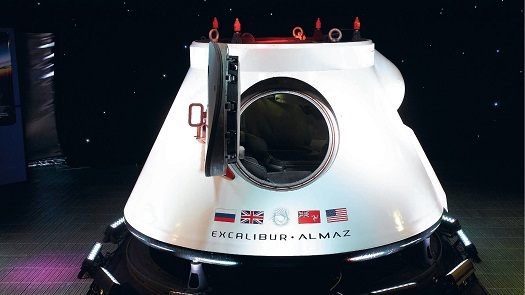 Art Dula is facing another lawsuit alleging fraud connected with Excalibur Almaz, a company that has been seeking to use old Soviet space station hardware for commercial purposes. The lawsuit, Takafumi Horie v. The Law Offices of Art Dula, which was filed Nov. 10 in a Harris County district court, alleges that attorney Art Dula convinced Takafumi Horie that he could set up a commercial space transportation program to carry people and cargo into a low Earth orbit by using Russian-made Almaz class space craft. The lawsuit also alleges that Art Dula used his position as trustee for the Robert A. and Virginia Heinlein Prize Trust [Heinlein was a prolific science fiction author who was famous for writing about manned space exploration] to “get new business.” The lawsuit also alleges that Dula took $49 million of the investor’s money and put it into his IOLTA account for Horie’s “Japan Space Dream” business. But according to the petition, that business was only to remain a dream. “Dula never intended to engage in a commercial space program, and in fact continually misrepresented, concealed facts and defrauded his client Takafumie Horie d/b/a Japanese Space Dream,” according to the petition which alleges fraud, breach of contract and breach of fiduciary duty among other things. This is not the first lawsuit against Dula alleging fraud in connection wit Excalibur Almaz. Is this the end of the line for Excalibur Almaz, the Isle of Man company that had a dream of turning old Soviet space hardware into gold? An anonymous bidder snapped one of the company’s space capsules for $1 million euros ($1.39 million) on Tuesday during an auction at the Kunsthaus Lempertz auction house in Brussels, Belgium. The vehicle had flown into space unmanned on two occasions during the 1970’s as part of the Soviet Union’s space station effort and had been refurbished by Excalibur Almaz. The auctioned capsule was one of four reusable reentry vehicles (RRV) owned by Excalibur Almaz, which also acquired a pair of Almaz space station modules that never flew. The company’s intent has been to recycle the hardware for use in crewed missions to Earth orbit, cislunar space, libration points and deep space. However, the company has never announced a customer. Whether Excalibur Almaz is still pursuing this aim is unclear. An email to Rob Lazaro, who is listed as the company’s public relations director on its website, has not been returned. The last news update on the site is from July 2012. Houston, Oct. 1, 2012 (Excalibur Almaz PR) — Excalibur Almaz, USA (www.theAlmazUSA.com) is pleased to announce that Dennis K. Diemoz has been named President of Excalibur Almaz, USA (EA USA). He has also been appointed to the EA Board of Directors. Mr. Diemoz provides a rich history of aerospace industry executive management. NBC News space correspondent Alan Boyle is reporting that the NASA commercial crew winners are SpaceX, Boeing and Sierra Nevada Corporation. Boyle reported the results on Twitter at 7:01 EDT and promised a story would be coming soon. NASA is set to announce the winners at 9 a.m. EDT on Friday. By the way, WSJ is reporting SpaceX and Boeing, and likely SNC. But our sources are “knowledgeable” as of today. SpaceX has developed the Falcon 9 and Dragon capsule to carry seven astronauts to the International Space Station. Boeing is building the CST-100 spacecraft, which will launch on a modified Atlas V rocket built by United Launch Alliance. Sierra Nevada’s Dream Chaser will also launch on an Atlas V.
Many of the modifications required to human-rate the Atlas V would benefit both Boeing and Sierra Nevada. This approach would allow NASA to fund development of both space vehicles and the launch system. Other competitors include ATK, Blue Origin and Excalibur Almaz. We will post further updates as we get them. Commercial Crew Announcement this Week? EDITOR’S NOTE: Charles now tells me that NASA is likely to inform the companies of their decision on Thursday morning. There is usually a lag between that action and a public press conference. UPDATE: NASA will publicly announce the winners on Friday morning. Charles Lurio of The Lurio Report has emailed me saying that he has heard from a very reliable source that NASA will announce the next round of commercial crew funding on Thursday or Friday. This is no independent verification of this report. KENNEDY SPACE CENTER, Fla. (NASA PR) — Excalibur Almaz Inc. (EAI) has successfully completed its Commercial Crew Development Round 2 (CCDev2) partnership with NASA’s Commercial Crew Program. Through CCDev2, NASA is spurring innovation and development of safe, reliable and cost-effective spacecraft and launch vehicles capable of transporting astronauts to low Earth orbit and the International Space Station. Art Dula was at the Royal Aeronautical Society’s 3rd European Space Tourism Conference in London this week, promoting Excalibur Almaz (EA) and announcing an agreement with XCOR Aerospace for crew training. Based upon what I have read, EA’s latest plan for using surplus Soviet-era space stations and capsules sounds pretty awesome. A flight to the moon and back for the low, low price of $150 million. Pricey, but definitely on the mega-cool side of the spectrum. 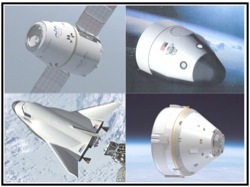 NASA PR — NASA’s commercial crew partners continue to achieve exciting milestones as the Commercial Crew Development Round 2 (CCDev2) Space Act Agreements enter their home stretch. 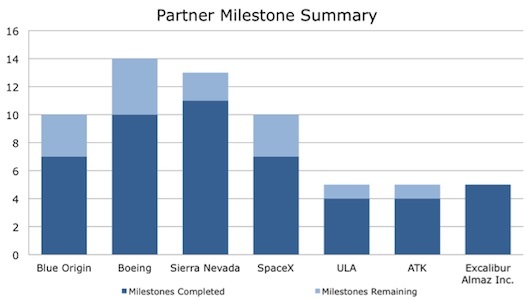 Since the agreements were awarded in April 2011, the partners have achieved 48 of the 62 planned test, demonstration, and technical review milestone events. 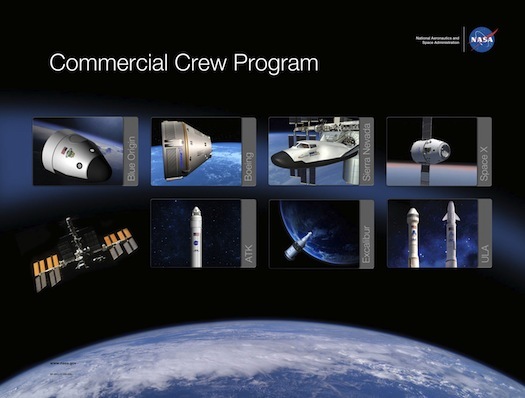 With the maturation of spacecraft and launch vehicle designs being accomplished under CCDev2, NASA’s Commercial Crew Program is well positioned to move into the integrated capability design and testing phase. 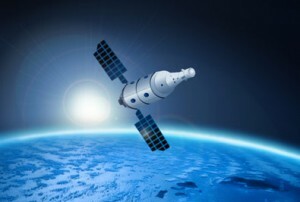 Awards for new Space Act Agreements are expected in July/August 2012. LONDON, United Kingdom (XCOR/EA PR) — Excalibur Almaz Limited (EA), a commercial aerospace company based on the Isle of Man, British Isles, signed a Memorandum of Understanding (MOU) with California-based XCOR Aerospace for suborbital flight services. The agreement signed in conjunction with the Royal Aeronautical Society’s 3rd European Space Tourism Conference calls for XCOR to provide suborbital flight familiarization and training using its Lynx vehicle for Excalibur Almaz crews traveling on Earth orbit, circumlunar, and deep space missions.